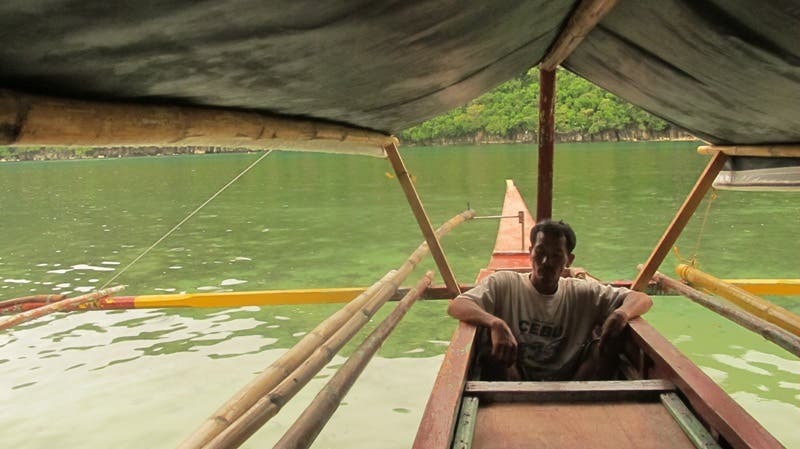 MANILA, 6 SEPTEMBER 2015 – AirAsia Philippines’ most anticipated one-centavo* seat sale is back with promo seats up for grabs for domestic and international destinations at www.airasia.com. The promotional all-in-fares are from as low as P16.81 inclusive of applicable taxes and fees for one way only. These promotional seats are available for booking at www.airasia.com from 7 to 13 September 2015, for thetravel period from 1 March to 29 October 2016. 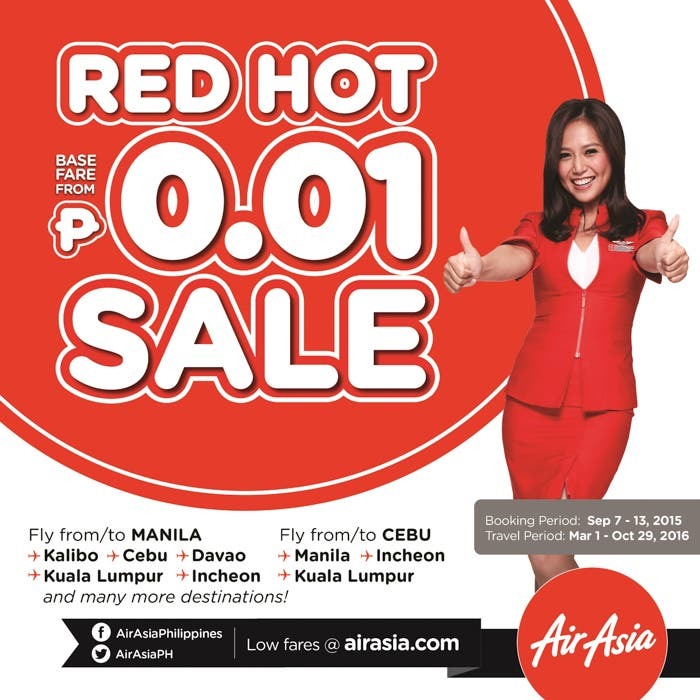 The AirAsia Group is also offering promo seats to over 100 destinations across 20 countries including Asia and Australia during the same period from 7 to 13 September 2015 for travels from 1 March to 29 October 2016 with over 3 million promo seats on sale for flights operated by AirAsia in Thailand, Malaysia, Indonesia, Singapore, India, China, Japan, India and several others. Keep updated with AirAsia’s latest promotions and activities via Twitter @AirAsiaPh and Facebook(facebook.com/AirAsiaPhilippines). 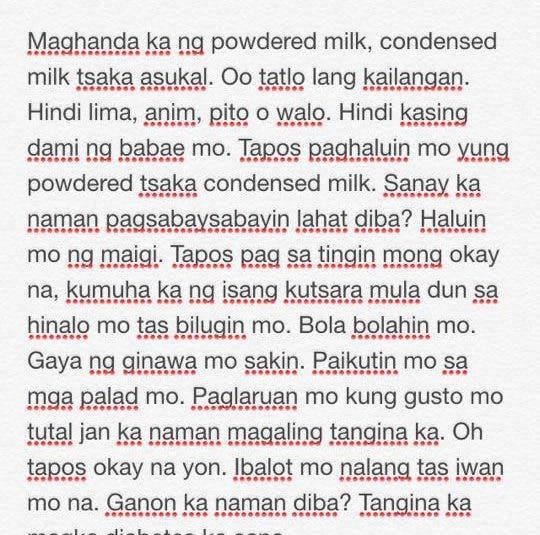 #HUGOT: "Paano Gumawa Ng Pastillas"